cut flower as well as a fine border addition. A balmy day in late February can truly feel like spring, and in some parts of the country spring flowers are already in bloom. No matter where we are, when the sun comes out we're inclined to think it's time to get into the garden, and if we have ordered dahlias from Lynch Creek Farm, we'd like to get our hands on those dahlia tubers. But it may not be time. 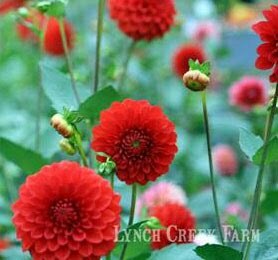 The gang at Lynch Creek knows when it's the right time to plant dahlias in various parts of the country, and before long the first dahlias will go out to the mildest growing zones in the country. As for the rest of us, we just have to go on being patient. 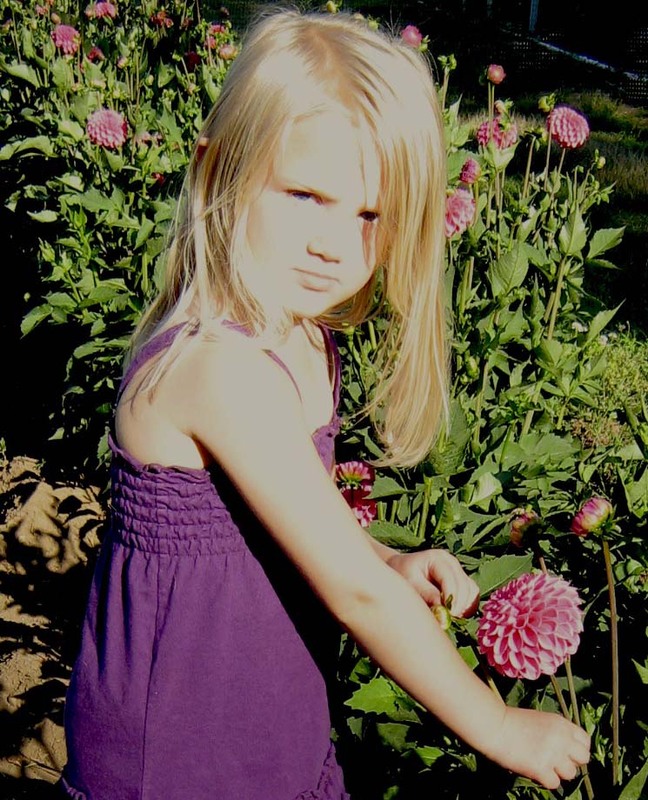 This dahlia fancier chooses "Chimacum Katie." This kind of prudent approach to shipping dahlia tubers makes good sense. While our dahlia tubers are in transit, they're subject to the vagaries of the weather, and in much of the country, it's still winter. Even in mild Western Washington, there's snow and freezing in the forecast this week. At Lynch Creek Farm headquarters, dahlia tubers are snuggled down in safe conditions. For many of us, it won't be the right time to plant our dahlia tubers until April or even May. And so we just have to wait. 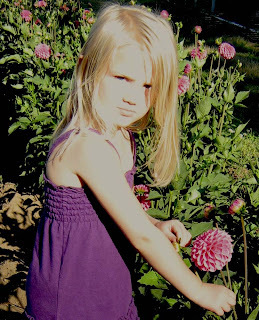 But we can go to Lynch Creek's website abloom with lovely dahlias. By the way, if you haven't ordered your dahlia tubers for 2012 yet, time's a-wasting. For the best selection, start now!